Lucca offers many local restaurants and its gourmet quality is known throughout Tuscany and abroad. The prices are fair almost everywhere. Let's talk now about traditional dishes of Lucca. Among the main courses, do not miss the typical soup, the farro, the frantoiana and tordelli: the first is a bean and spelled soup, the second is a vegetable soup with cabbage, served with bread, both with a touch of extra virgin olive oil. Tordelli are meat-filled ravioli served with meat sauce. After the fist course, you can order rovelline, beef fried slices in a sauce of tomatoes and capers, accompanied by mashed potatoes, baccalà e ceci, roasted cod with chickpeas and coniglio in umido, rabbit in a sauce with tomato, onion, olive oil, garlic and chili. Among the desserts, are famous buccellato (a kind of soft and sweet bread with anise seeds and raisins) and torta con i becchi, a sweet cake made also with vegetables. After speaking of the traditional dishes we must say that in Lucca you'll find also many innovative restaurants, full of original furnitures and delicious original dishes, write these names: "Gatta ci Cova" and il "Ritrovo del Gusto", outside the Walls. Lucca in general is rich in small inns, restaurants, bakeries, pastry shops, cafes, find them by chance, during your walks in the city, sniffing the air, reading the menu displayed outside or following the locals who frequent the historical center ... you will not regret. Wherever you go to eat, you will eat well and not spend too much. To start a coffee and a dessert typical of mid-morning ... in a nice pastry and then ... Bon appetit! Below, we present some restaurants, known and unknown, in a list about "where to eat in Lucca". The interiors are more like a Parisian bistro... open since the 30s of last century. Try the meat dishes with stewed vegetables. Our favorite? Cheese from Garfagnana with honey and jams of the house, Garfagnana Ham "bacchio" with bruschetta and pizza dedicated to Puccini (we choose a Turandot: mozzarella, tomato sauce, peppers, pepperoni, sausage). Via Vecchia di Vicopelago, 86/G. 10 min from city center. Nice place with big garden. Very nice food, expecially meat. Vegetarian menù also possible (phone in this case before arriving). Special menù 30 euro or à la carte. Fair prices. Reservation mobile phone, 380 43 90 325. Prices: medium / high 23-30-50 € per meal (depends on your temptations). Tavern, wine shop and museum, impossible not to visit! The restaurant is housed in the basement of the ancient palace Palazzo Bernardini, very impressive. While enjoying a bruschetta with bacon and cheese, a cake made with carrots and fennel with cheese fondue or a cod fish, you'll also have the chance to visit one of the most ancient cellars of the city, the Enoteca Lucchese, which also exhibits a wide range of wine and olive oil production. 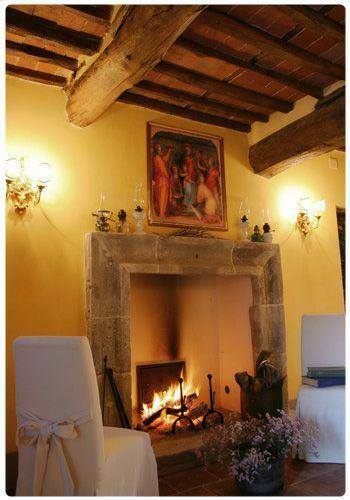 This is a very nice place, with vaulted ceilings and traditional furnitures. Very good dishes excellent wines and oils. Do not miss the art exhibitions housed in an impressive exhibition space. A tip: always calls before, the closing day seem to change very often. Viale Giuseppe Giusti 25, the road that runs around the Walls. Free parking in the area. A very fashionable place in Lucca, very popular. Modern and elegant. Great seafood. Great menu for lunch about 20 euro, you can not choose but the quality is very high. Considered the oldest restaurant Lucca, located not far from the Walls and enriched by nice performance of live jazz music (usually from October to May). Open for lunch and dinner with a great variety of Tuscan wines. Do not miss the soups. Tuscan dishes, with a touch of modern creativity. Excellent meat, trendy, great service. Amazing menu for lunch at 15 Euros, with a glass of wine and a small cake included. Located near the famous Piazza Anfiteatro, the Osteria Baralla serves typical cuisine of Lucca. Ask beer with spelled, spelled soup and cake from Lucca. The daily menu changes often, but expect to find dishes like penne arrabiata, cod, beans, octopus with potatoes. In a nice place where once was a laundry, good traditional cuisine. Average prices 30 euro/meal. If you feel like venturing outside Lucca, then go out for a few miles and arrive in this place. Excellent onion soup, fried chicken and rabbit, excellent desserts. Nice outside space in Summer. Typical flavors and Tuscan atmosphere. Bastione San Colombano, Tel: 0583 04 44 641 - Average prices 25 euro. Modern cafe and restaurant. Beautiful setting on the walls, behind St. Martino Cathedral. It 'nice to go there during winter (nice large windows on the Walls) and summer (nice outdoor dining space). Recommended also for families. Good cakes, hot chocolate, pizza, icecream and coffee. The bar / restaurant "La stella polare", corner Via Vittorio Veneto, Piazza Napoleone. Here you can enjoy the best espresso in Lucca. Also excellent cakes. Modern atmosphere. In spring also tables outside in the square. The most delicious focaccia and bread of Lucca!. Many types of bread, many pizzas, cakes, sweets. The long queue outside the entrance suggests delicious baked inside. Not to be missed! Pizza made with good ingredients. Even with pizza dough and gluten free. Great pizzas (rather thick) and fast and friendly service. Fantastic pizza slices, excellent cecina, always full.